He might be in the supplement industry, but he doesn't just use supps to prove a point. Here's how Chris Thompson supps to improve on the micro, macro, and performance level. Because Chris Thompson is in the supplement business, he knows that selected supplements can help him build and maintain his goal physique. But, he also knows that supplementation can help him stay healthy and active for a long time—an important thing when you're busy, always on the go, and 45 years old. Here's Chris's supplement philosophy and how he uses supps to improve his micros, macros, and performance. I'm getting to an age where I've started to look at longevity. "I've got a great macronutrient program that's going to help me achieve my physical goals," says Chris, "but that's really only half the battle. I'm getting to an age where I've started to look at longevity. I put my body through an awful lot of physical demand, so getting micronutrients into my body can make a great difference to my overall health and my performance." To improve his overall health, Chris utilizes a multivitamin, CoQ10, and things like alpha lipoic acid (ALA). On the performance side, he prioritizes protein. "Sometimes, my turnaround between whatever I'm doing, a meal, and a meeting can literally be 10 minutes. How am I going to get to all of my macronutrients in that amount of time? Sipping on a protein drink is perfect because it doesn't interfere with anything you're doing." Along with multivitamins and protein powder, Chris likes to supplement with pre-workout products. 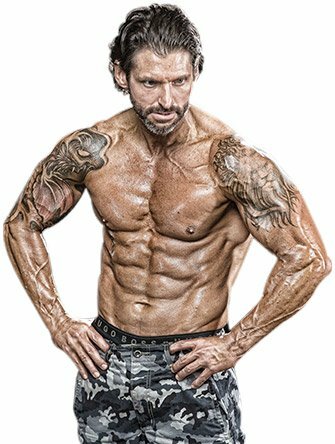 "I couldn't live without fat burners, flash stimulants, and pre-workouts," says Chris. "The product that put Twinlab on the map, the product that everyone remembers, is Ripped Fuel. Ripped Fuel is a thermogenic stimulant that provides great mental focus. It's the type of stimulant that I like."